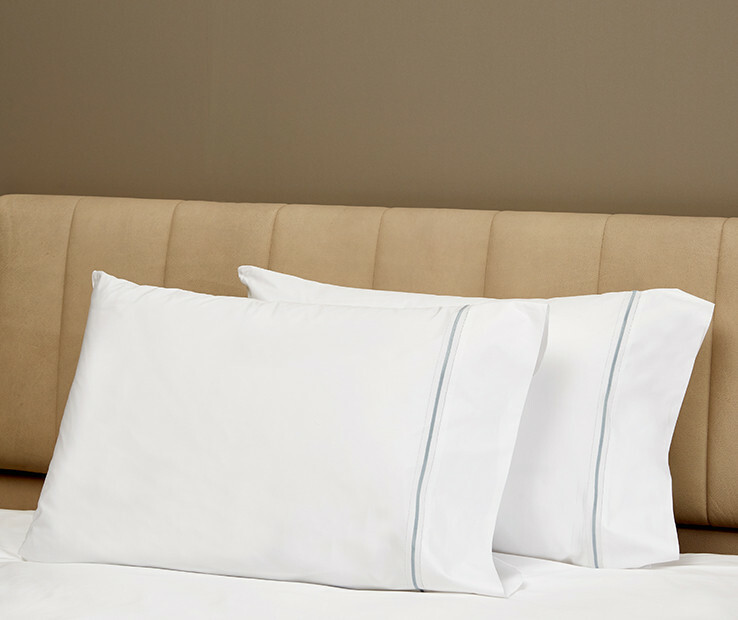 Gramercy pillowcases are a timeless addition to any interior, perfect for creating a refined image. 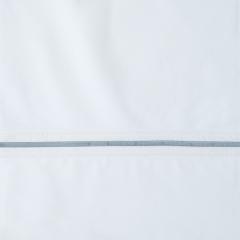 Gramercy collection is made of pure crisp but soft cotton percale embellished with double hemstitch and embroidered line. 100% Egyptian combed cotton 400 t.c. percale, Made in Italy. Available in Standard and King sizes, in a variety of color combinations. The set includes two pillowcases. 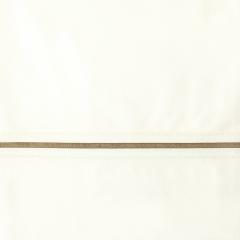 Gramercy sham is a timeless addition to any interior, perfect for creating a refined image. 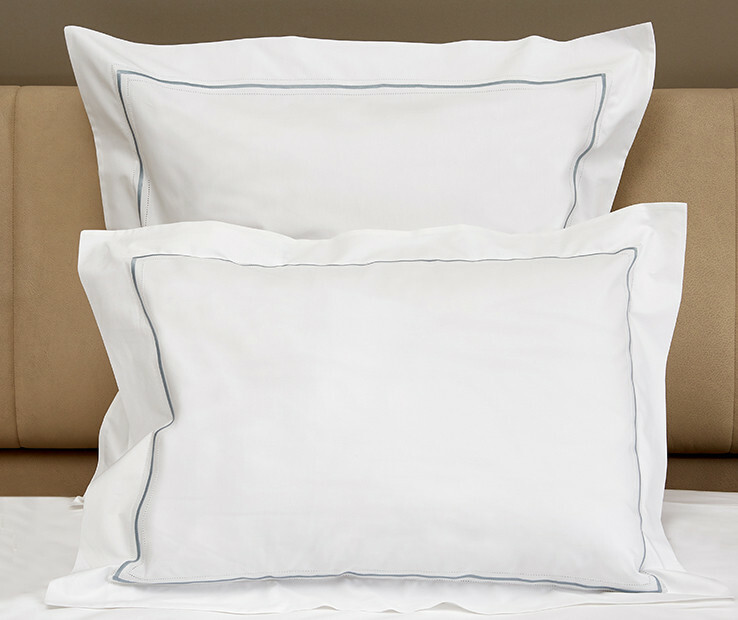 Gramercy sham is made of pure crisp but soft cotton percale embellished with double hemstitch and embroidered line. 100% Egyptian combed cotton 400 t.c. 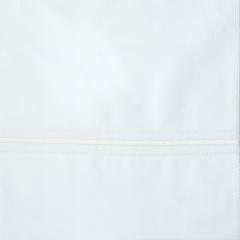 percale, Made in Italy. Available in Standard, Euro and King sizes, in a variety of color combinations. 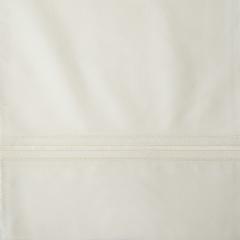 Gramercy duvet cover is a timeless addition to any interior, perfect for creating a refined image. 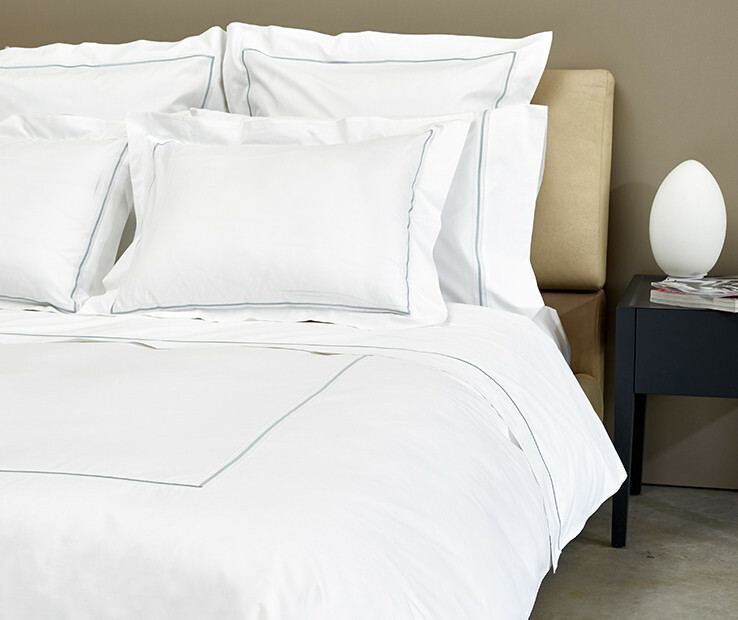 Gramercy collection is made of pure crisp but soft cotton percale embellished with double hemstitch and embroidered line that form a U on the duvet cover. 100% Egyptian combed cotton 400 t.c. 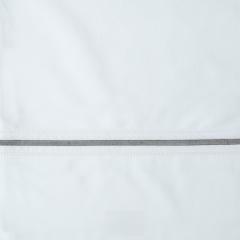 percale, Made in Italy. Available in Twin, Queen and King sizes, in a variety of color combinations. 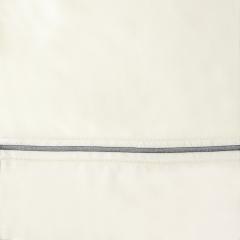 The Gramercy flat sheet is a timeless addition to any interior, perfect for creating a refined image. 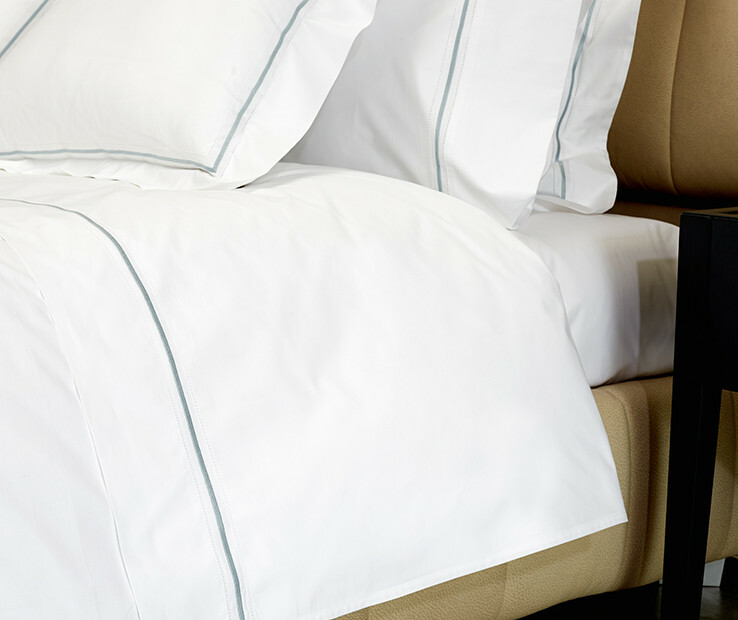 The Gramercy collection is made of pure crisp but soft cotton percale embellished with double hemstitch and embroidered line. 100% Egyptian combed cotton 400 t.c. 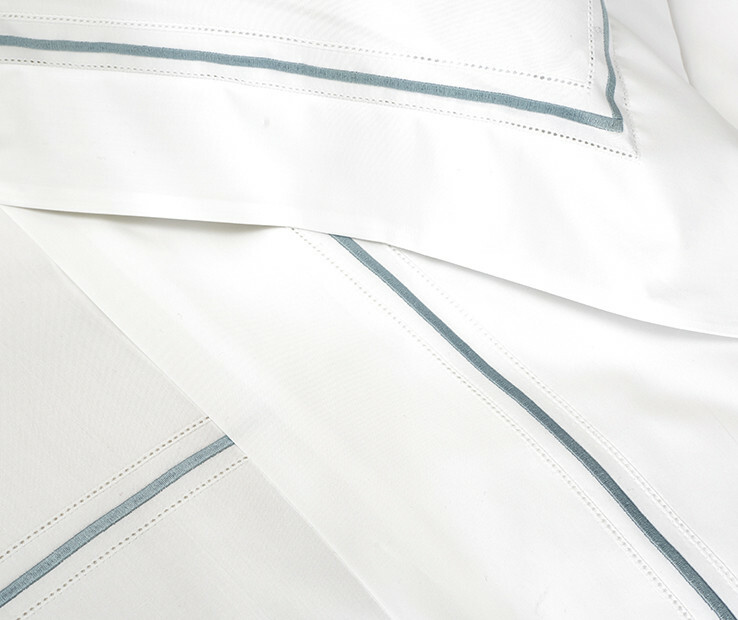 percale, Made in Italy. Available in Twin, Queen and King sizes, in a variety of color combinations.